Please see the documents below for information regarding Student Accident Insurance. Two Goshen High School students had their artwork recognized at New York City’s Carnegie Hall recently and then have those pieces displayed in New York for the next two years. GHS juniors Alyssa Hostetler and Ellie Hathaway have earned medals in the national 2014 Scholastic Art & Writing Contest. 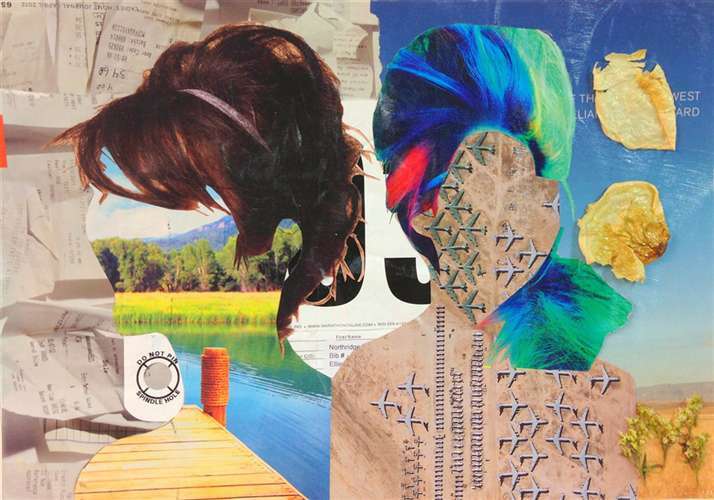 Hathaway’s mixed media piece, “Race against Humanity” earned a gold medal award and has been used in multiple regional Scholastic promotional materials. 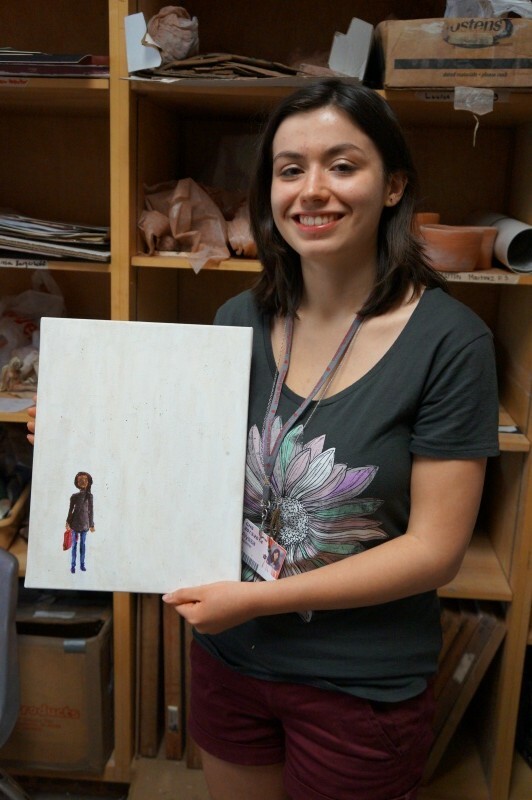 Hostetler’s acrylic painting, “Unforgotten” earned her a silver medal in the national contest. To compete at the national level, both had to first earn top rankings in the regional Scholastic Art & Writing Contest. 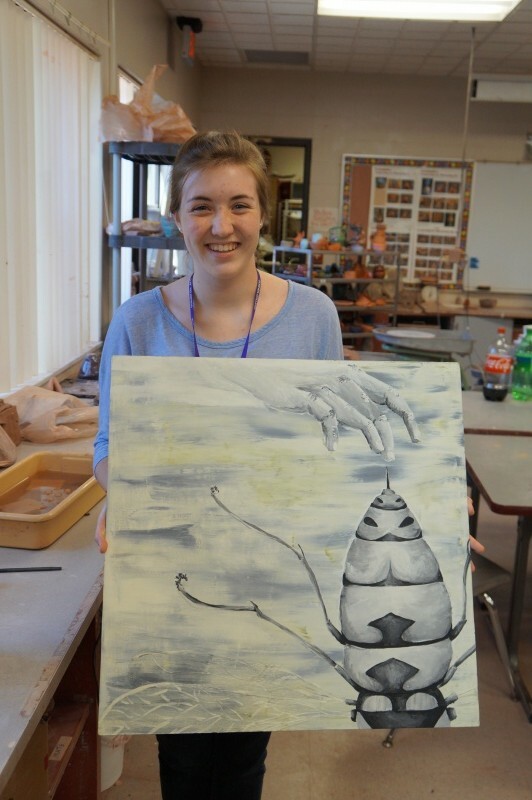 Hostetler said she approached her award-winning piece in a different way than she usually does for her artwork. She often aims for creating complex pieces, she said, so wanted to try to do something more purely simple. She was inspired by the lyrics of the song “West Coast” by Coconut Records. Both said they were surprised, but incredibly excited to learn they had placed well at the national level. Both students are International Baccalaureate (IB) art students. The Goshen High School senior has signed a letter of intent for Bethel College to major in Nursing with a minor in Spanish and participate in track. Tori was a 2 year letter winner in track. Tori DeVries is the daughter of Joel and Chris DeVries of Goshen. Tori has 3 siblings, Joel, Kaitlyn and Alyssa. 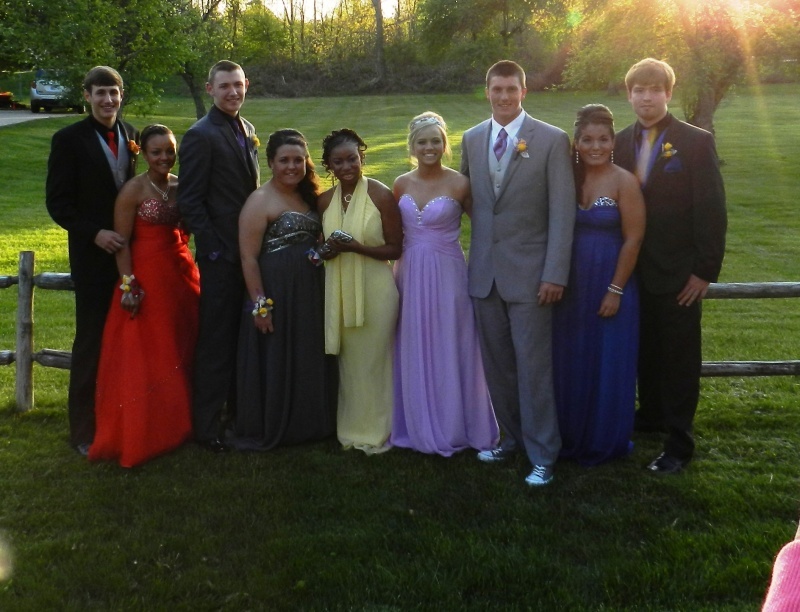 At Goshen High School’s prom, one student had an evening that not just she, but her whole family, will remember. Alaina Witmer, a special needs student at Goshen High School, not only attended prom with four GHS boys and their dates, but was nominated for Prom Princess and was often the life of the dance floor. Witmer’s journey to prom began in March when Melisa Holley, a paraprofessional at GHS, mentioned to her son and their friends that she wished Witmer would be able to attend prom. 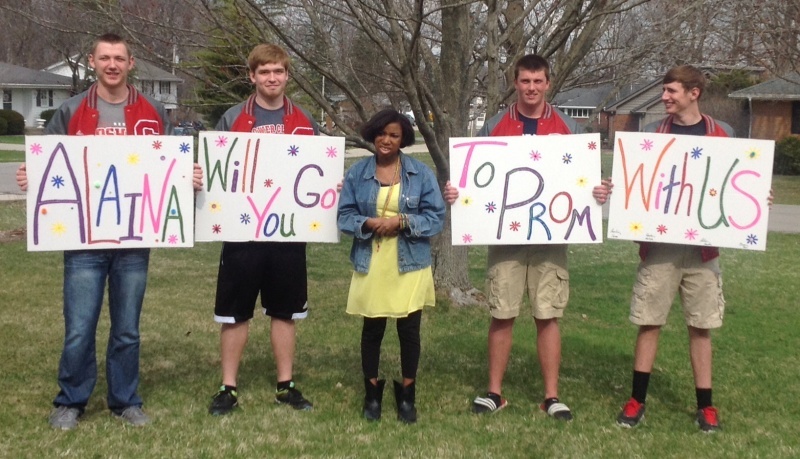 In April, Quinten Holley, Adam Pearson, Bryce Bender and Austin Woolett stood outside of Witmer’s house and with a series of signs, asked her to join them at prom. The four boys had known Witmer since attending school together at Waterford Elementary. Witmer was incredibly excited that day, she said. Her elation continued when she joined her mom and friend Surae Woods-Cross to go dress shopping. Witmer decided on a bright yellow dress, the first she tried on that day. The night of prom, the four GHS boys and their dates arrived at Witmer’s with a limo to ride together to prom at the Palais Royale in South Bend. 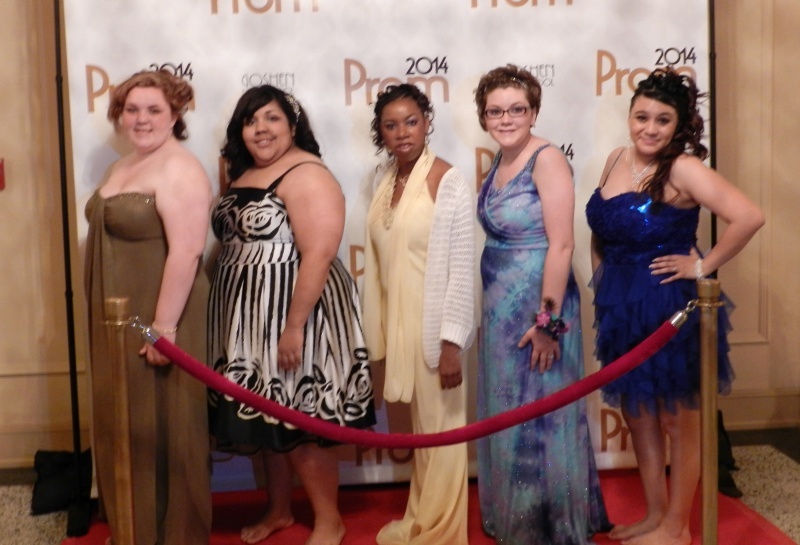 Once arriving, Witmer ran from the limo to the prom site, ready to dance the night away. The boys each had a yellow rose in their boutonnieres and the girls all had yellow in their corsages to match Alaina’s dress. The night wasn’t only a special one for Alaina Witmer, but her mother, Vicki Witmer. When Melisa Holley asked Vicki Witmer in March if “hypothetically” a boy were to ask her daughter to GHS’ prom if she would be allowed to go, Vicki came to tears. The night of prom, Alaina Witmer was nominated for Prom Princess and got to try on the crown of the student who won the title. Alaina Witmer still asks her mom and paraprofessional at school when she’ll be able to ride in that limo again or wear that yellow dress again. Goshen High School’s music programs shone during the Indiana State School Music Association’s (ISSMA) State Concert Organization Finals May 9 and 10 in Indianapolis. The Goshen High School advanced choir was the state runner up in the competition, with the Goshen men’s choir placing fourth in the Concert Treble/Mens Choir contest. The Goshen High School orchestra placed in the top 10 in the state orchestra contest. Concert organizations qualified for the state finals by earning the highest scores at one of four qualification events earlier this spring. Only the top scoring 16 bands, 16 mixed choirs, 8 treble/men’s choirs and 8 orchestras were accepted for this year’s state finals. GHS’ high placings at the organization state finals follow strong performances and placings by Goshen High School and Goshen Middle School students at area and state ISSMA solo and ensemble contests.